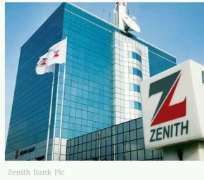 Zenith Bank Savings Account - The Zenith Individual and Salary Savings Accounts are recommended if you have specific savings goals in mind or you just want to start setting money aside. The account offers competitive interest rates, debit and credit cards, email/SMS transaction notifications and free access to the Bank’s Internet banking platform, mobile app and other digital solutions. Zenith Bank Individual Current Account - The Zenith Bank Current Account is a flexible current account that allows you bank and perform financial transactions at your convenience from anywhere in the world. Account holders enjoy a branded cheque book, debit and credit cards, email/SMS transaction notifications and free access to the Bank’s internet banking platform, mobile app and other digital solutions. Zenith Bank Children’s Account (ZECA): Ages 0-12 - The Zenith Children’s Account (ZECA) is a unique savings account designed to allow parents save for their children’s future while teaching children the benefits of financial discipline and savings in a fun way. ZECA offers competitive interest rates and supports cheque, draft and dividend lodgments. Zenith Bank Children’s Account For Teens (ZECA Teens): Ages 13-17 - ZECA Teens is designed to avail teenagers aged 13 to 17 years with all the benefits of the Zenith Children’s Account and a customized Naira MasterCard (a prepaid card issued upon Parent’s request), so they can start learning to manage money. Zenith Bank Aspire Account - The Zenith Aspire Account is an interest-bearing savings account for Nigerian undergraduates that offer them competitive savings rates, free access to zenith alternative channels, account transaction notifications, a customized debit card and discounts at select retail partners.